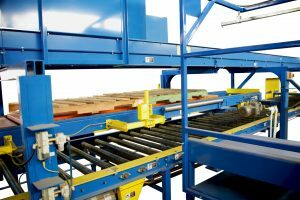 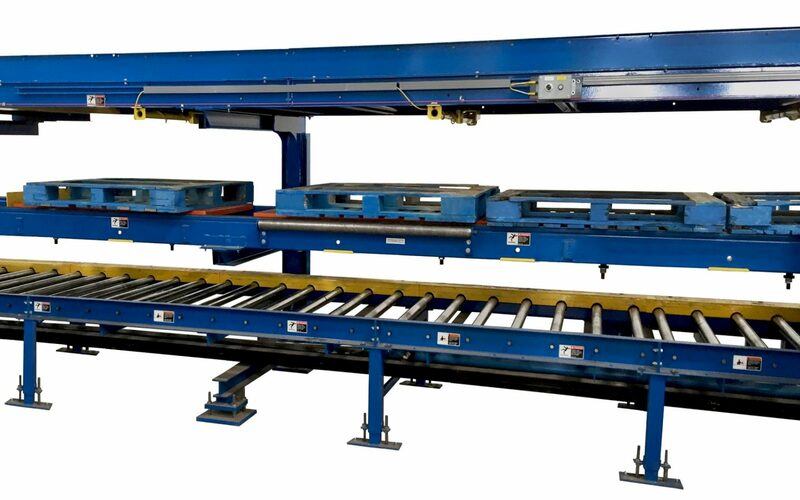 In the AMS multi-tier modular sort & repair systems, the pallets are introduced to the repair line by either a Tipper or Destacker and delivered to the builders by chain driven live roller conveyor. 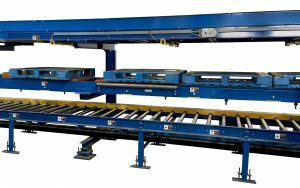 Lead boards are removed by a Deckmaster. 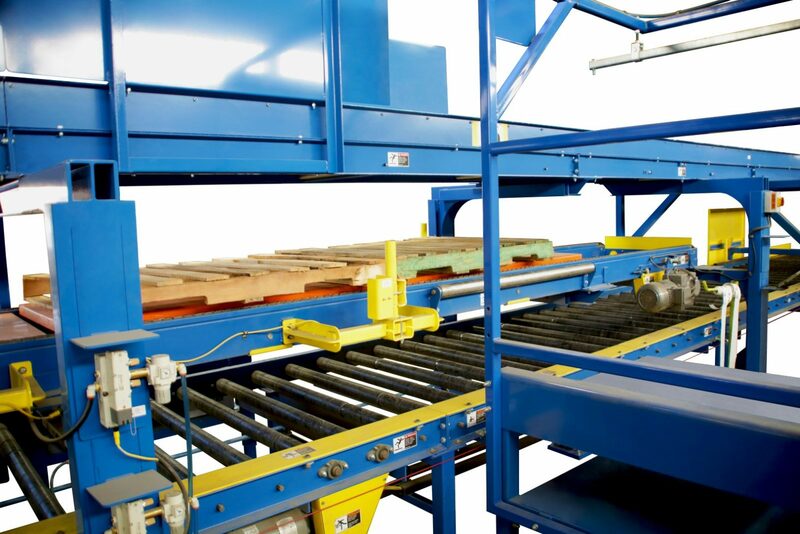 The pallets are then pulled off to builders tables for the necessary repairs. 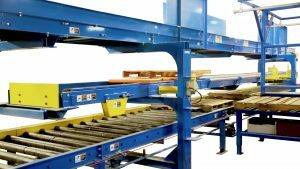 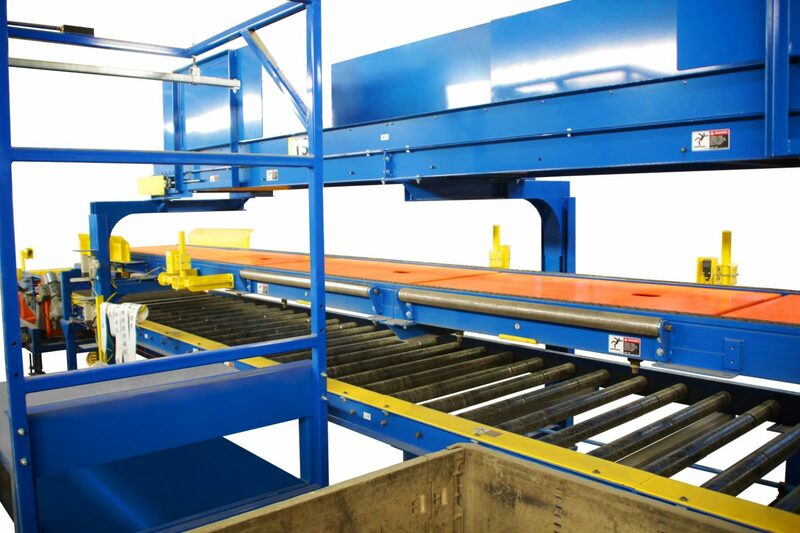 Once repairs have been made, the pallets are placed on the bottom belt driven live roller conveyor for delivery to a grading station and then on to a stacking system.